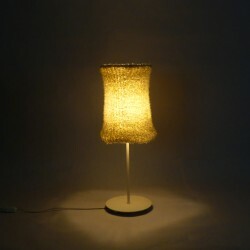 Table lamps There are 30 products. 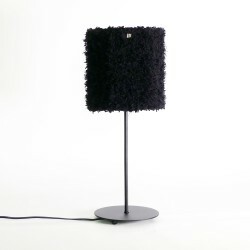 Depending on the models and collections, luciollle floor lamps are available with INTI lamp bases in Metal-White (Matte White), Metal-Black (Matte Black) and Metal-Oxide Braun (Rust Brown), in three heights: 5 cm and / or 30 cm and / or 125 cm. 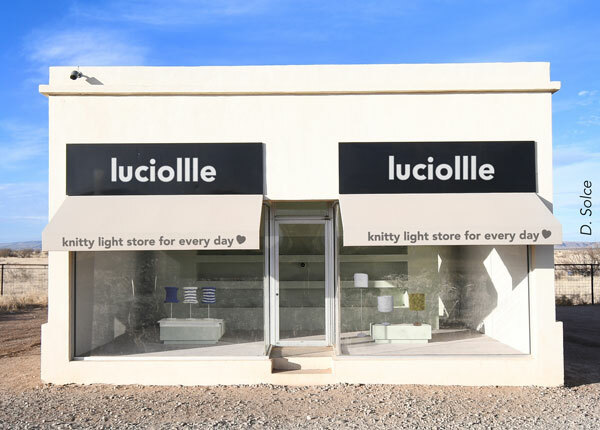 Each floor lamp to be installed is made with a luciollle® lampshade. 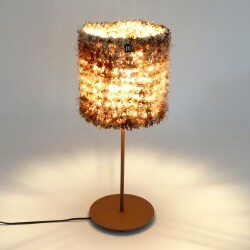 Our lamp stands are made "made in Europe" in workshops of professional ironworkers. 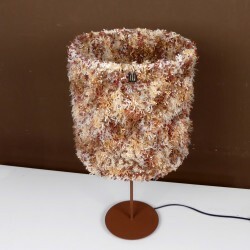 The worked threads "Remember Barbara" create a sweet illusion of rugs of leaves and bark, as in autumn. 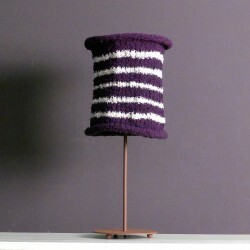 His title is an evocation to the poem of the French poet Jacques Prévert. 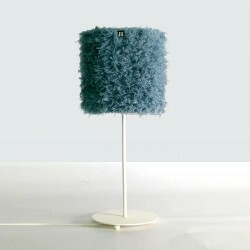 Available in three models: Base, Table and Floor (floor lamp). 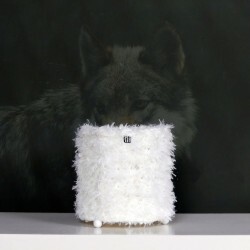 White as snow and not even afraid of the wolf! 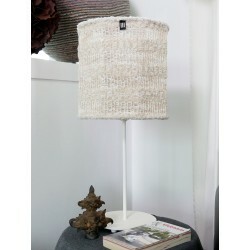 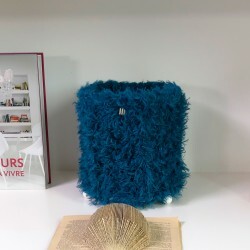 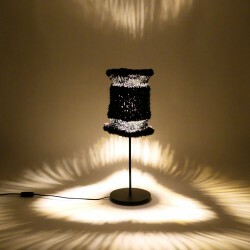 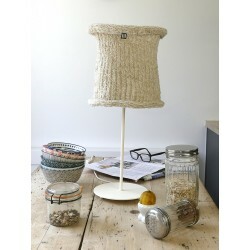 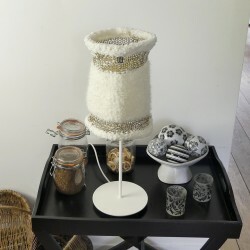 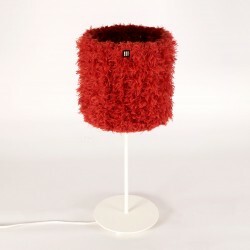 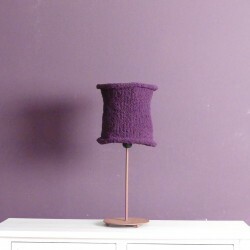 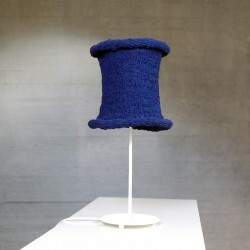 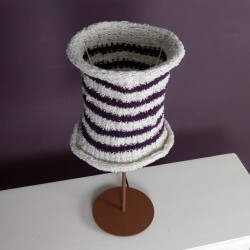 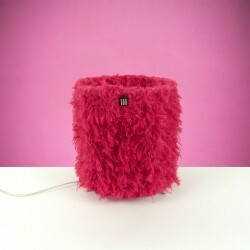 Le petit berger de Padoue (The little shepherd of Padua) is a vegan table lamp, made of yarn knitted like every luciollle shade. 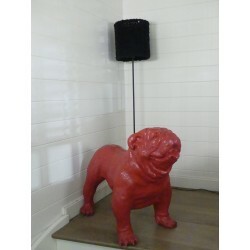 Le petit berger de Padoue is a variation of his "big brother" Le berger de Padoue. 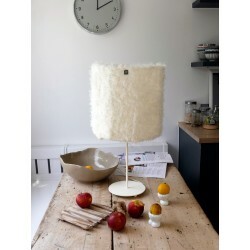 Available in two formats (Base and Table). 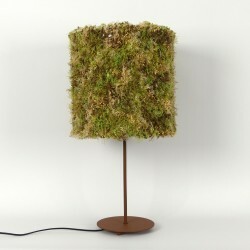 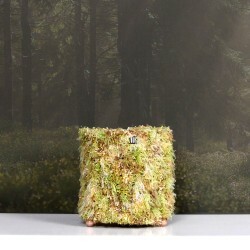 Petit dormeur du Val (Little Sleeper Val) is a lamp to put on a table like a piece of wild vegetation in the center of a joyful clearing. 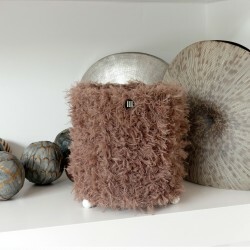 Petit dormeur du Val really works in any rooms: living room, dining room, veranda, bedroom, workshop, waiting room, restaurant, hotel, ... 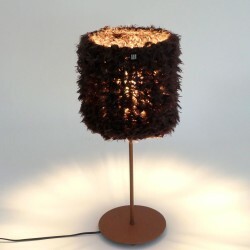 Available in two models: Base and Table. 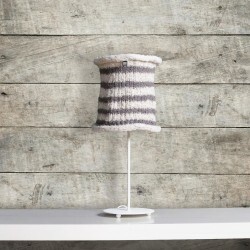 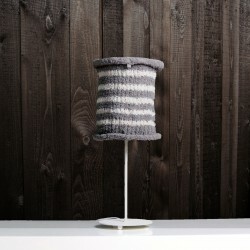 Oslo Collection standing lamp.Matt white metal base, epoxy color.The tab shade in this collection is the CALIE, a fully hand-made shade with mixed techniques, including knitting. 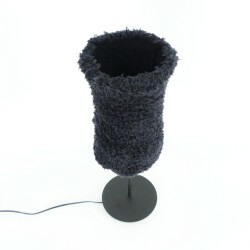 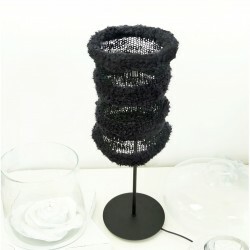 Uruk Collection standing lamp.Matt black metal base, epoxy colour.The tab shade in this collection is the ADAM, a fully hand-made shade with mixed techniques, including knitting. 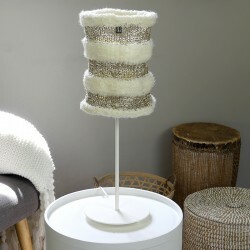 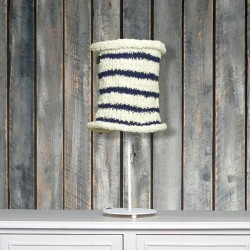 Paris Collection table lamp.Matt white metal base, epoxy color.The tab shade in this collection is the SARA, a fully hand-made shade with mixed techniques, including knitting.